Properties in Ethan Allen Tower average 4.8 out of 5 stars. Property 102: Picture-perfect lakefront cottage w/ a shared tennis court & dock! Property 105: Burlington Walkabout Peaceful City Retreat-Walk to EVERYTHING downtown. Property 114: Beauty, Privacy, and Comfort! Sunset views and Private Beach on Lake Champlain, with dock and boat mooring. Property 115: Sunset views and Private Beach on Lake Champlain, with dock and boat mooring. Property 116: Waterfront Lake Champlain Home w/ Hot Tub & Sauna! Property 117: Lakefront home w/patio over the lake, private dock, stunning sunset views! Lake Shore Home to Be Enjoyed by Family, Friends Or Both. Property 123: Lake Shore Home to Be Enjoyed by Family, Friends Or Both. 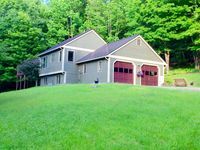 Whole house, Richmond VT Minutes From Most Affordable Ski Area in Vermont! Property 133: Whole house, Richmond VT Minutes From Most Affordable Ski Area in Vermont! SUMMER RENTED - Booking September & on! Lakefront, dock, beautiful bay! Property 136: SUMMER RENTED - Booking September & on! Lakefront, dock, beautiful bay! Lakeside Deck House With Magnificent Views Of Lake Champlain. Property 142: Lakeside Deck House With Magnificent Views Of Lake Champlain. Pristene lakefront property - charming, quiet, and rustic for nature lovers. Property 145: Pristene lakefront property - charming, quiet, and rustic for nature lovers. Newly Renovated Family Friendly Lake House on the Water's Edge. Boater's Dream! Property 148: Newly Renovated Family Friendly Lake House on the Water's Edge. Boater's Dream! We really enjoyed our stay in this cozy little apartment. It was nicely decorated and felt very homey. The location was excellent. We loved being able to walk to the downtown restaurants and shopping. Overall, we had a wonderful stay!